You make very good points about NoSQL and the almost rabid frenzy over the marketplace trying to adopt Hadoop/MapReduce even if the square peg doesn’t fit into the round hole they currently have and can only ever foresee. As another proof point for your Point #1. Dr. Usama Fayyad, former Chief Data Officer at Yahoo! told the audience at Enzee Universe that Yahoo! discovered that Hadoop was 10-50X more expensive for a production deployment than a data store. Hadoop is simply in the early stages and doesn’t have the wealth of enterprise readiness tools, such as Business Intelligence, ETL, Visualization, etc. that exist for data warehouses and that make it feasible for mainstream operational deployment. Yes it will get there but it will take some time. To further point #3, you see that the market place is creating hybrid solutions that combine the strengths or each of these approaches – databases and Hadoop. Solutions such as in-database MapReduce processing. The fourth point I would add is that there are some real handy uses for SQL. There are cases were SQL is simply A LOT simpler and faster since it is random access. When we say NOSQL, it means NOT ONLY SQL, we are not saying no to RDBMS database. 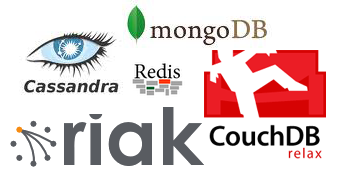 NOSQL solution can coexist wtih RDBMS solution. Any data which is Non transactional in nature can be move to NOSQL solution like cassandra. For example the Logdata,session state data.. . Again if you no you access pattern the way your data is going to be accessed , you don’t even need Hadoop based solution. As with NOSQL solution like cassandra you can have the schema configuration defined and stored parsed data at runtime. Agreed in NOSQL solution we give up consistency, thats what CAP theorem states, You cannot have Consistency,Availability and Partition at all the time. Unless you give up consistency you cannot achieve scalability.